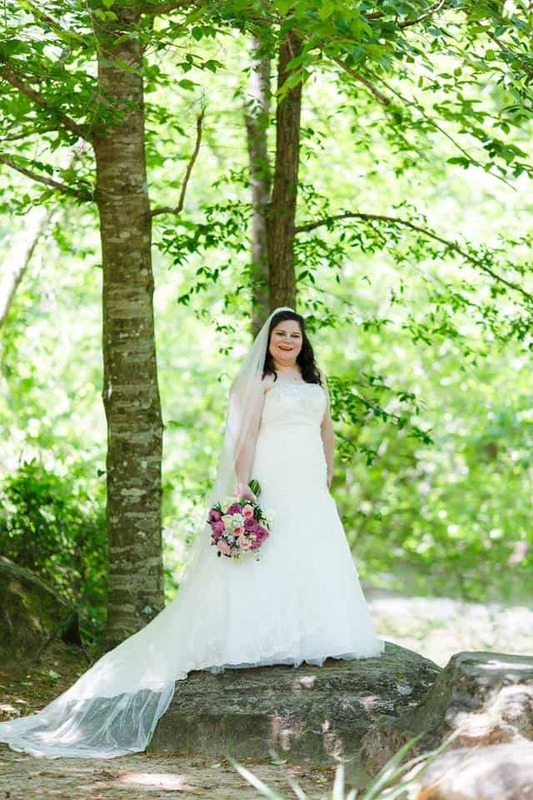 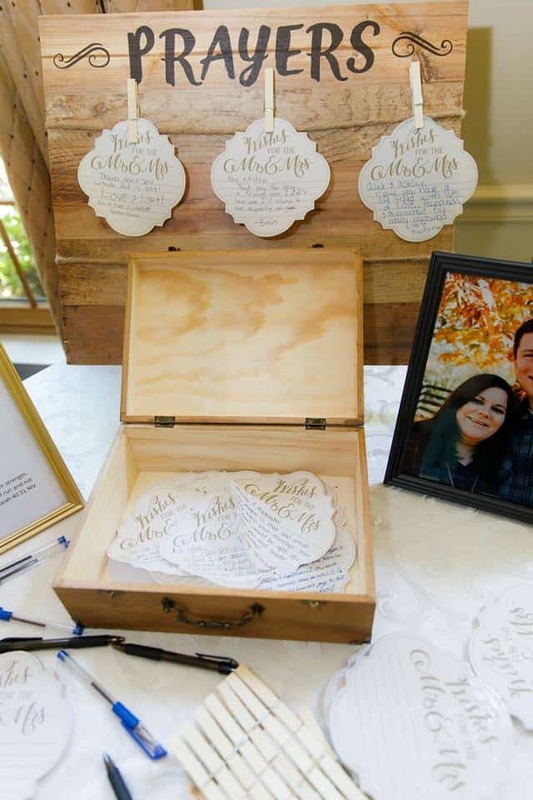 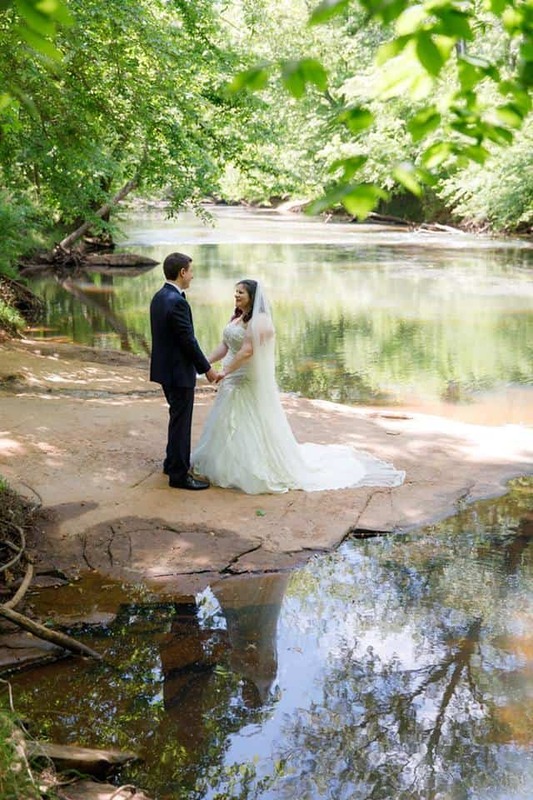 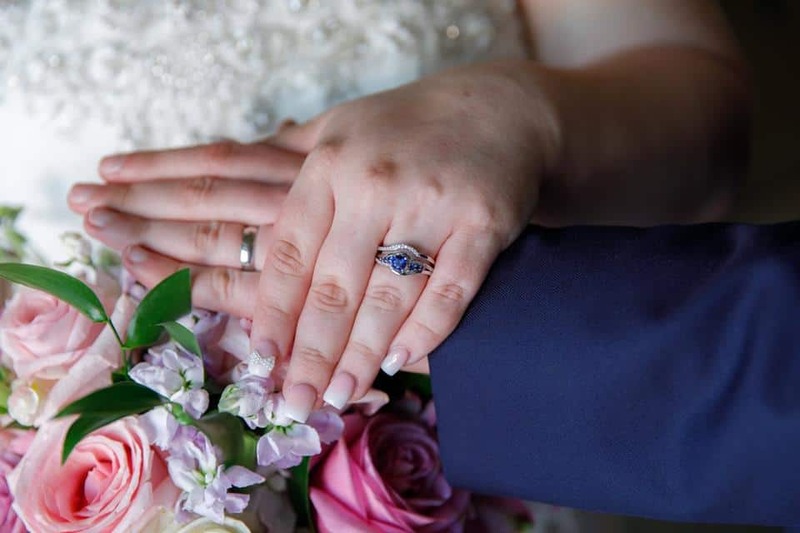 Ashley and Alec were wed on a beautiful May afternoon down by the Yellow River. 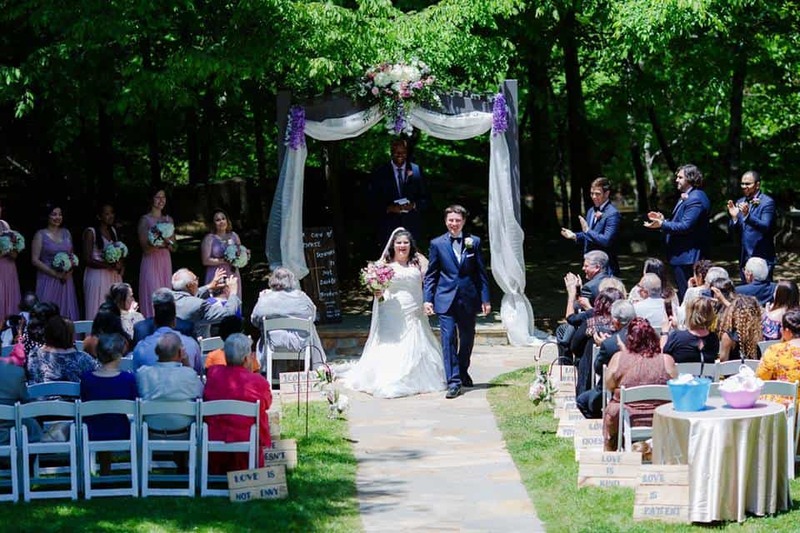 They had the most beautiful sunshine that day and it really added a special look to their photographs. 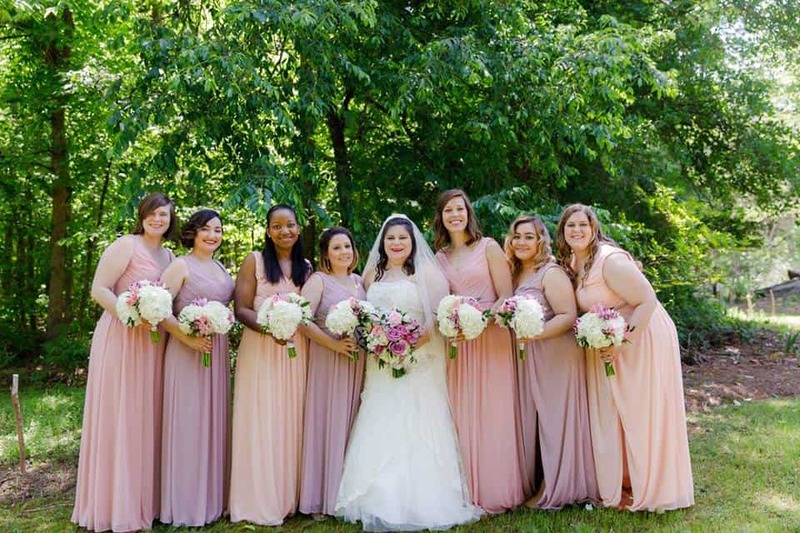 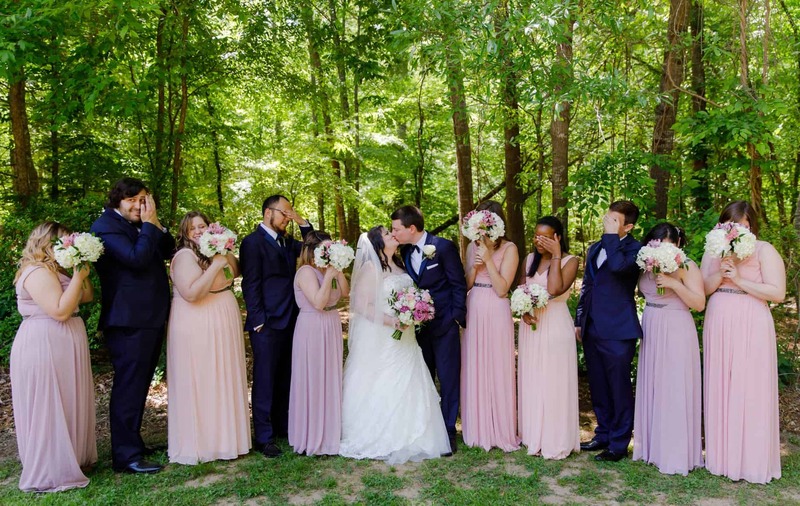 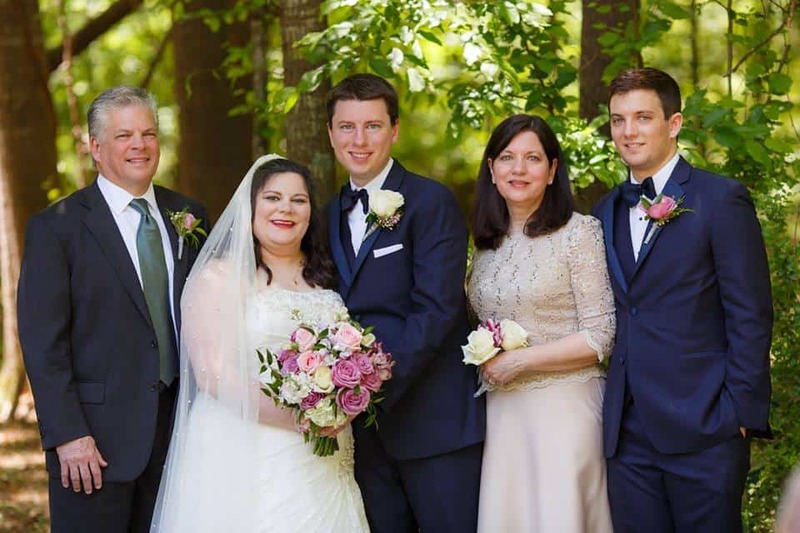 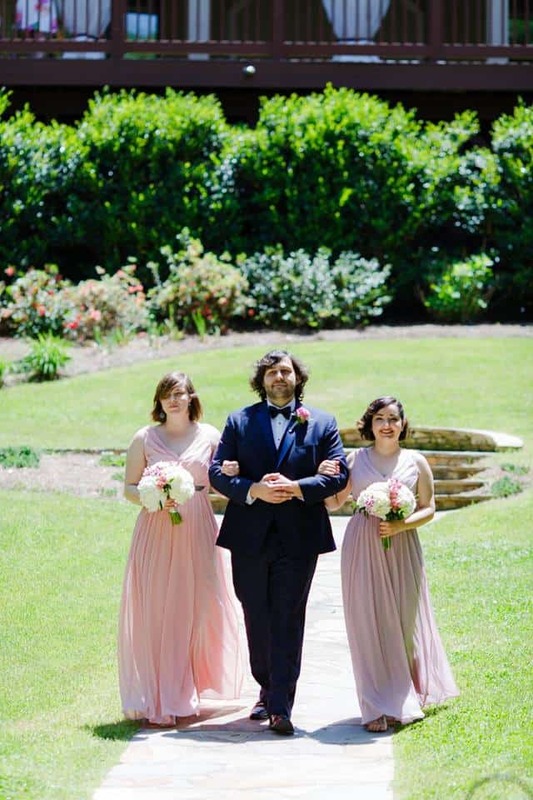 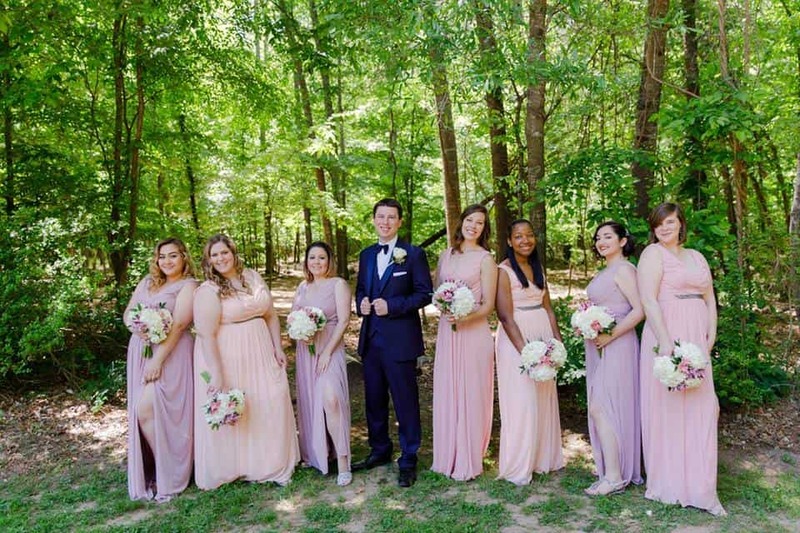 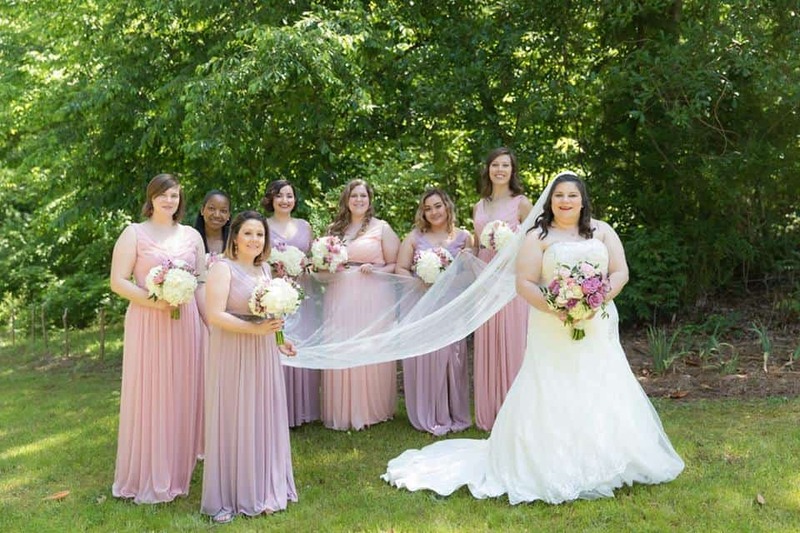 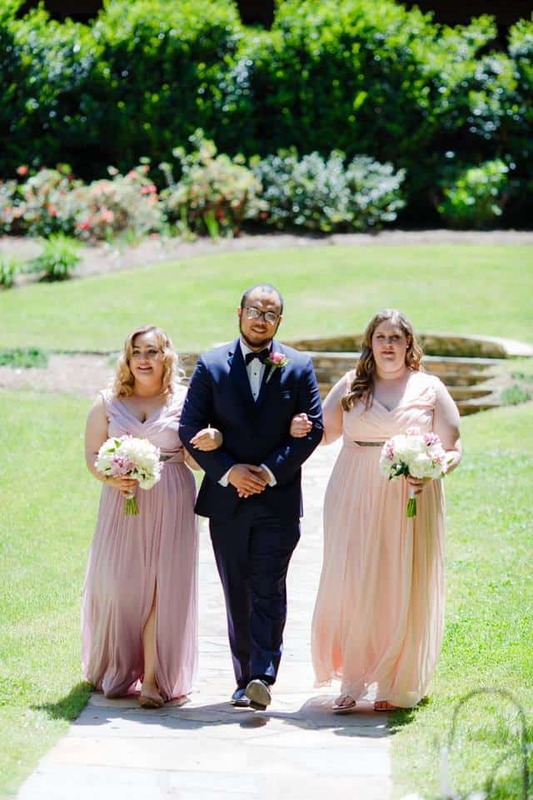 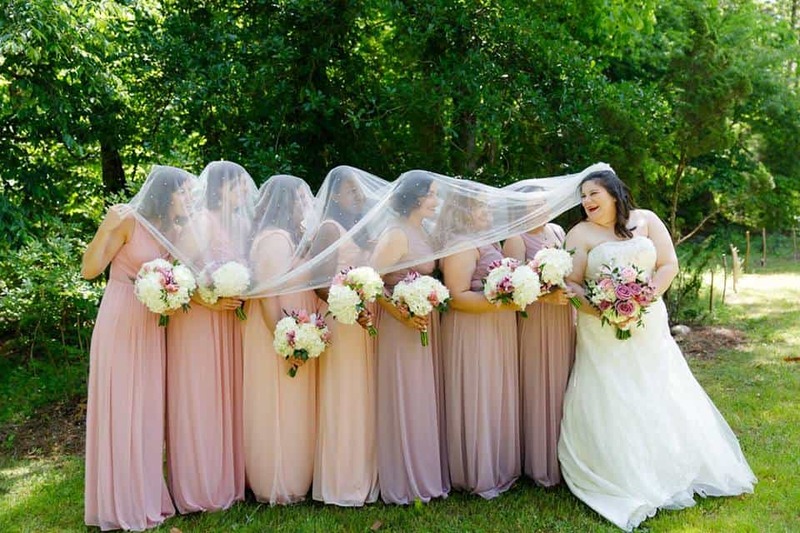 Ashley’s bridesmaids wore gorgeous full-length gowns in shades of blush pink and lavender – perfect colors for this Spring wedding! 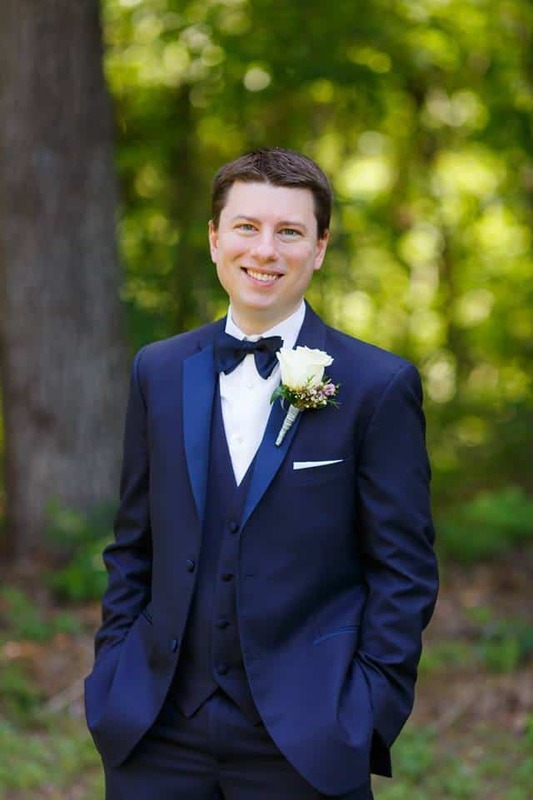 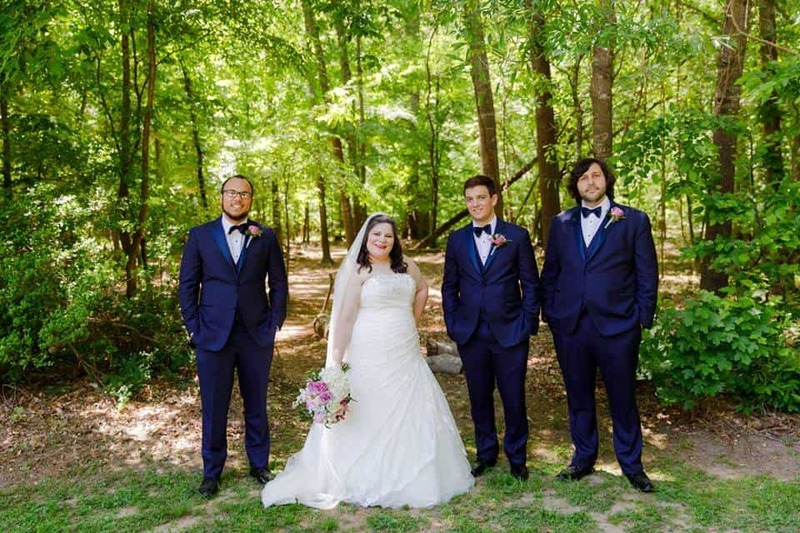 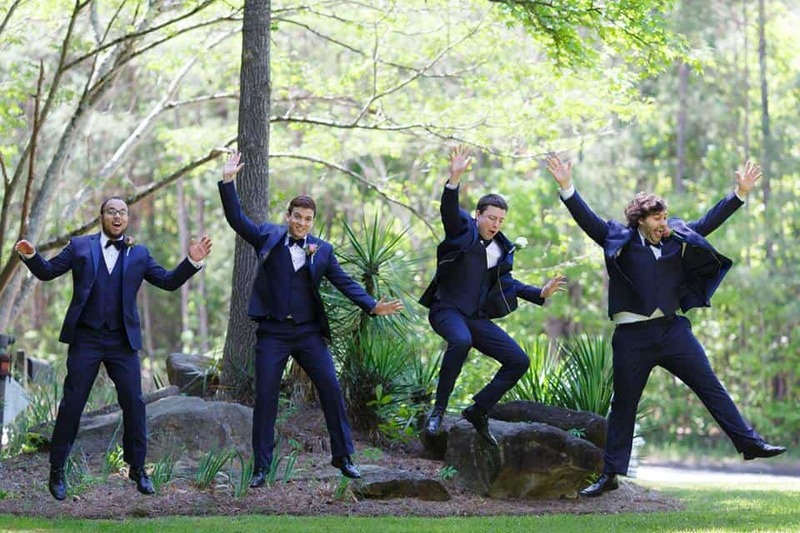 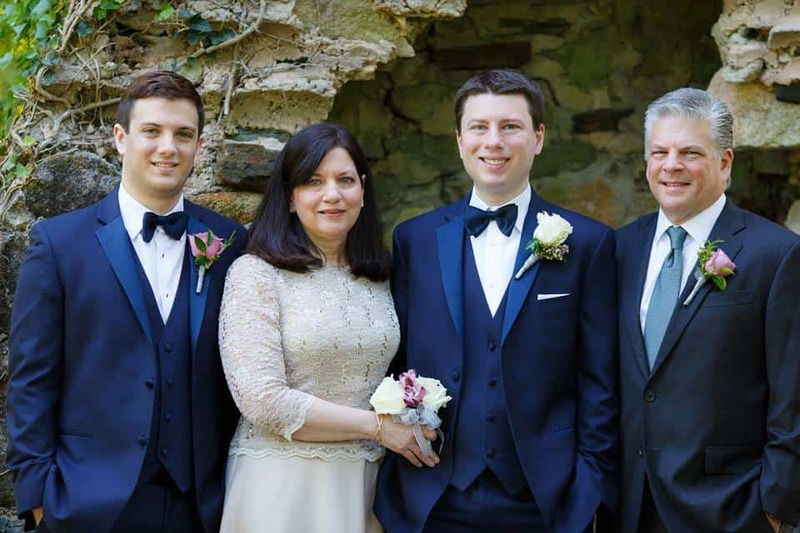 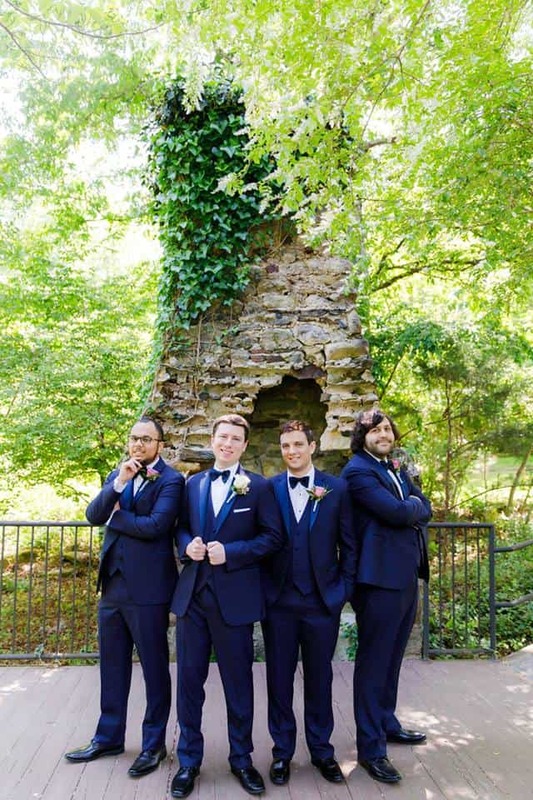 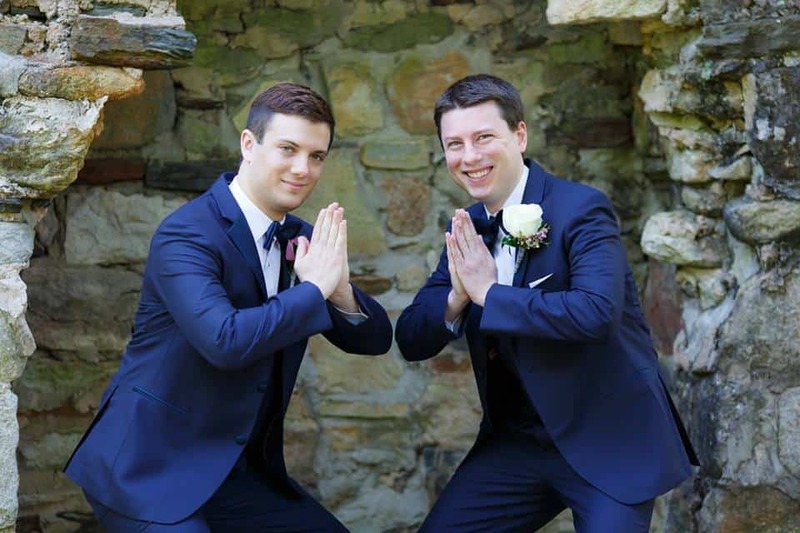 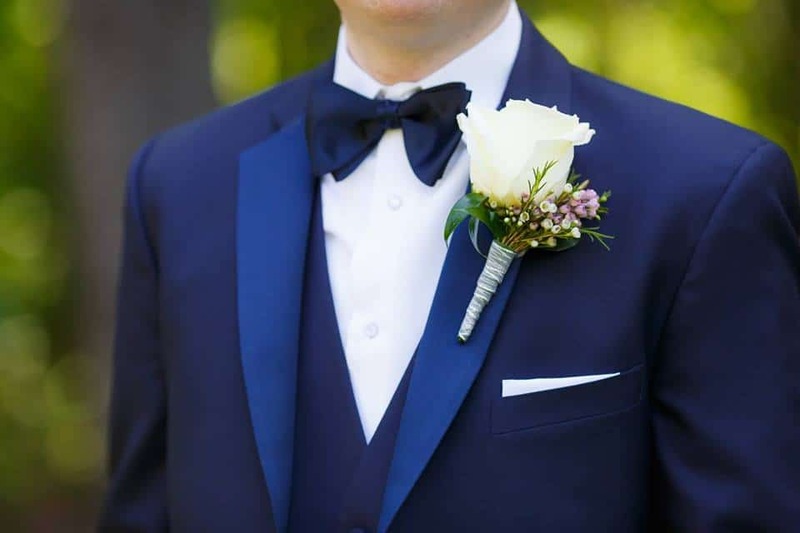 Alec and his groomsmen wore awesome navy blue tuxedos which complemented the ladies’ dresses really well. 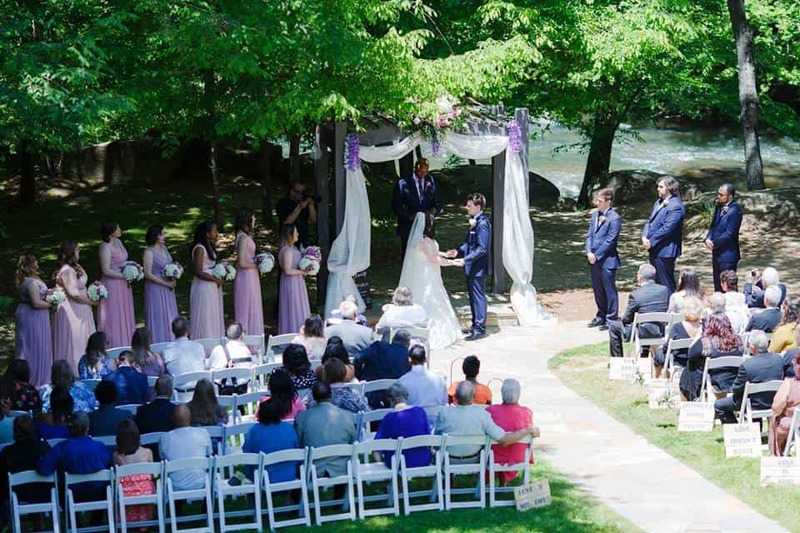 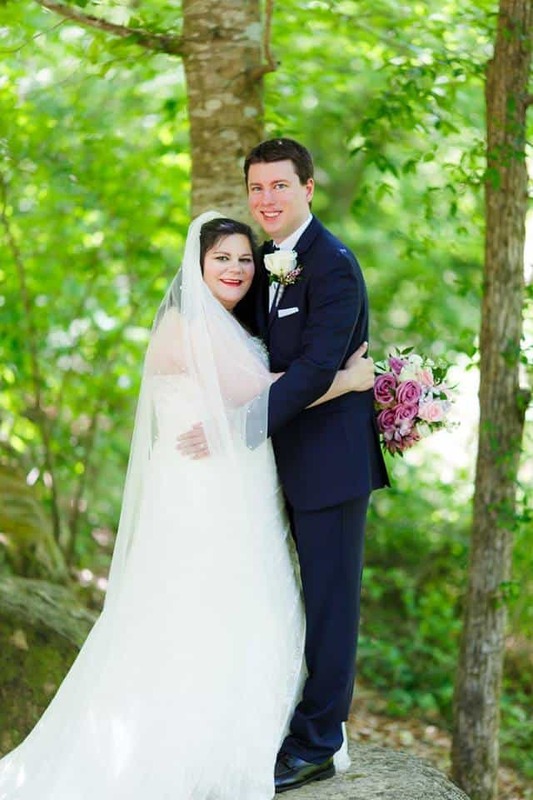 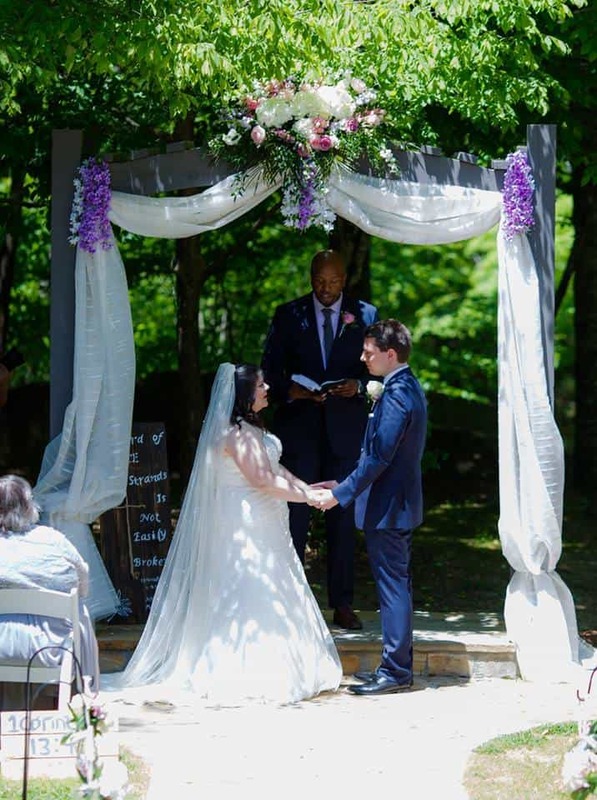 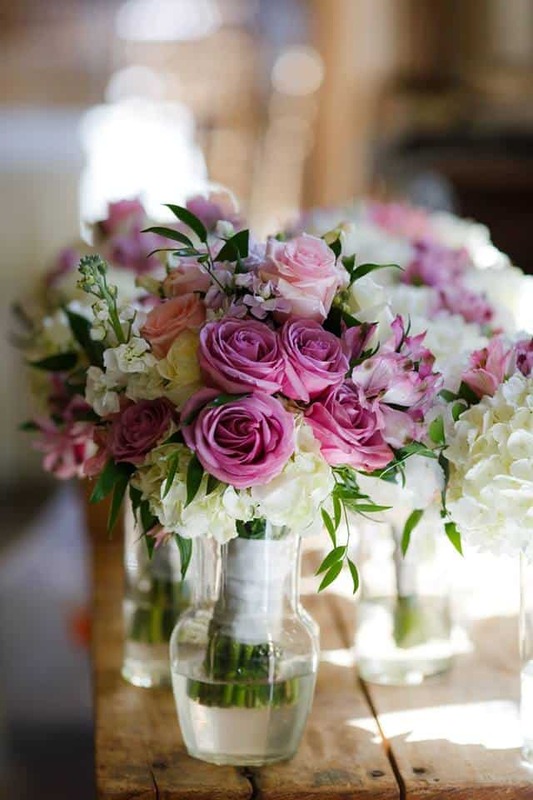 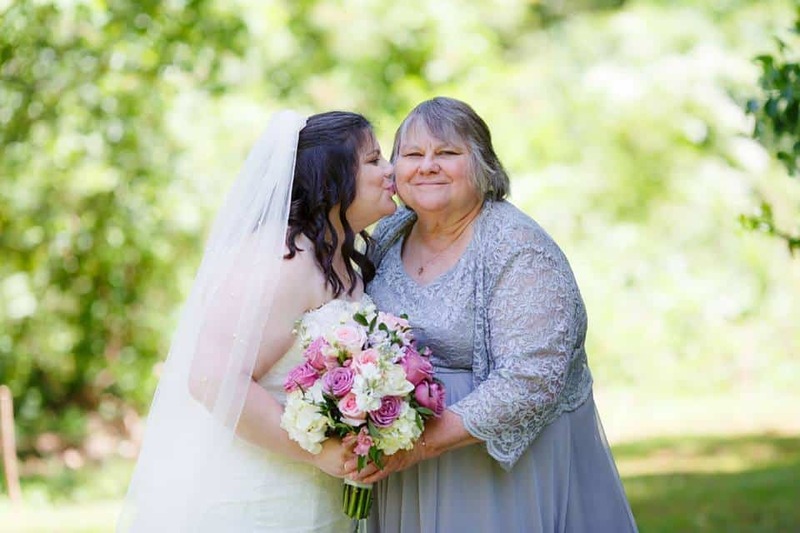 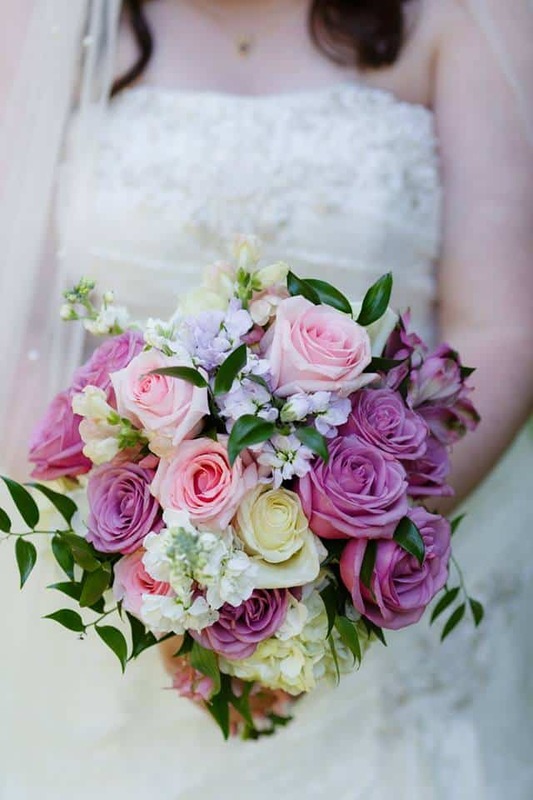 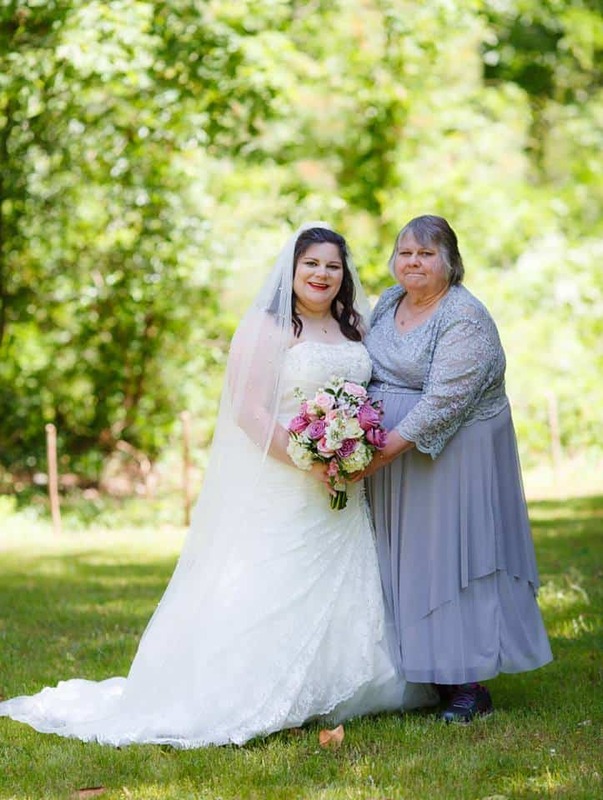 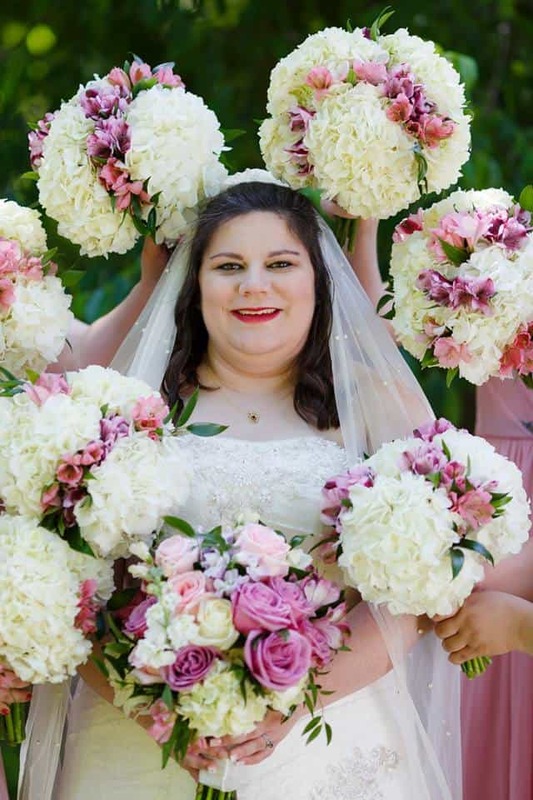 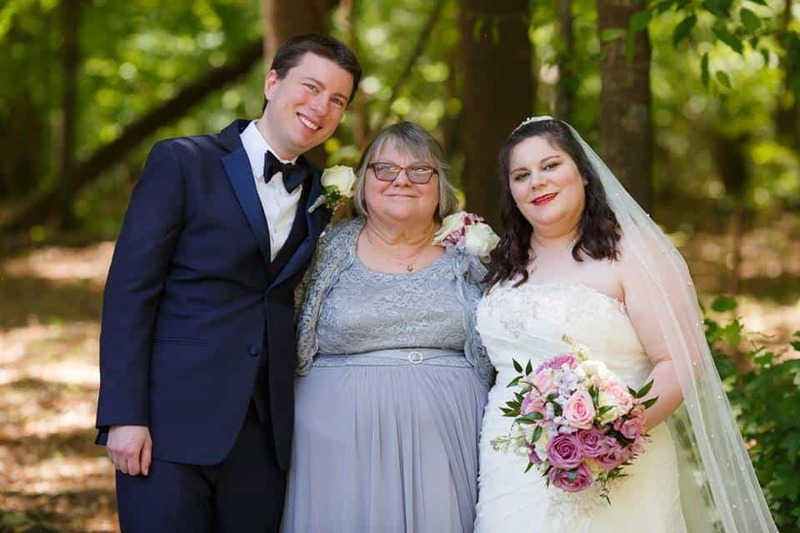 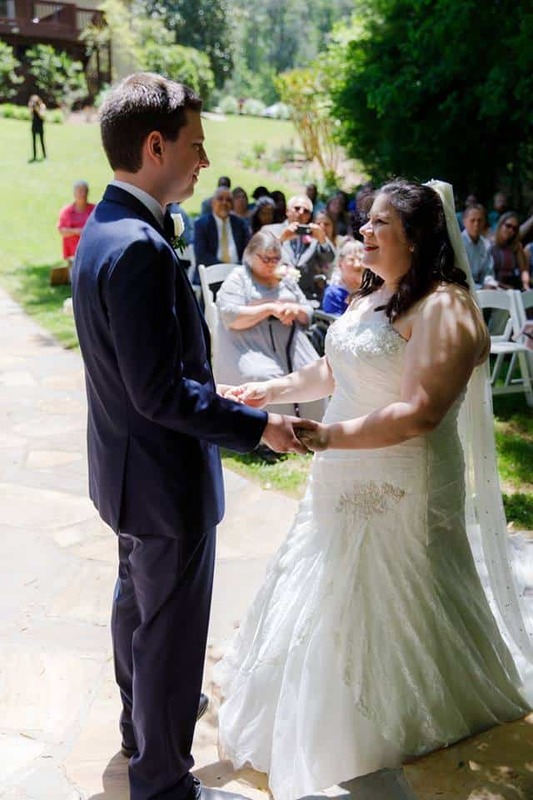 They wed by the Yellow River beneath a beautifully decorated arbor with flowing chiffon and a gorgeous arrangement of white and blush roses and hydrangeas. 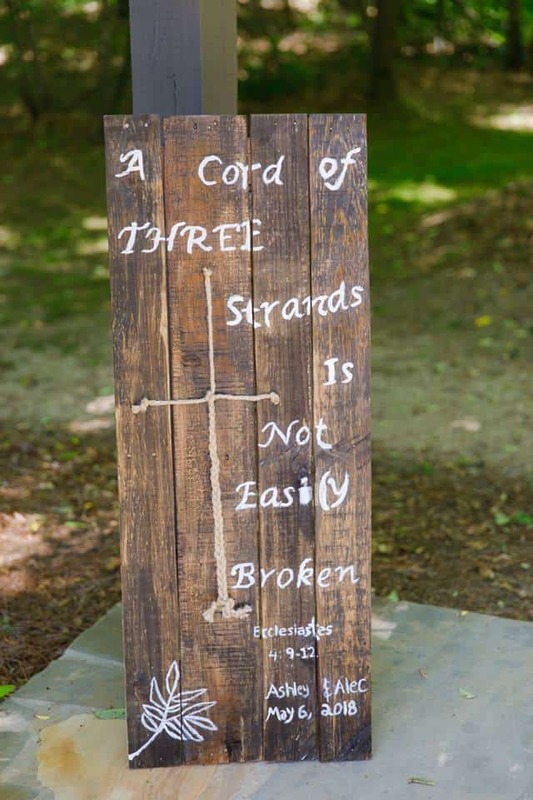 An amazing handmade sign proudly displayed their unity knot for all to see. 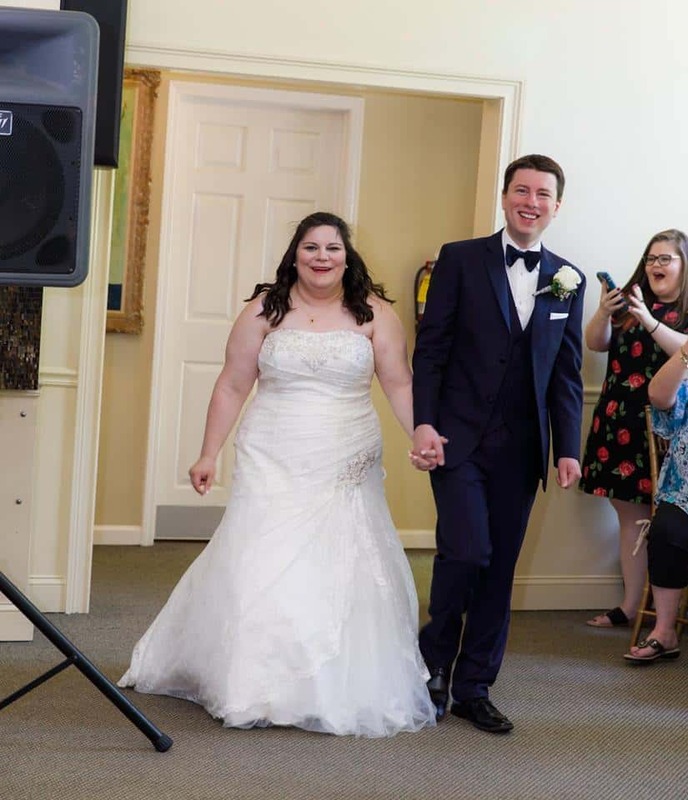 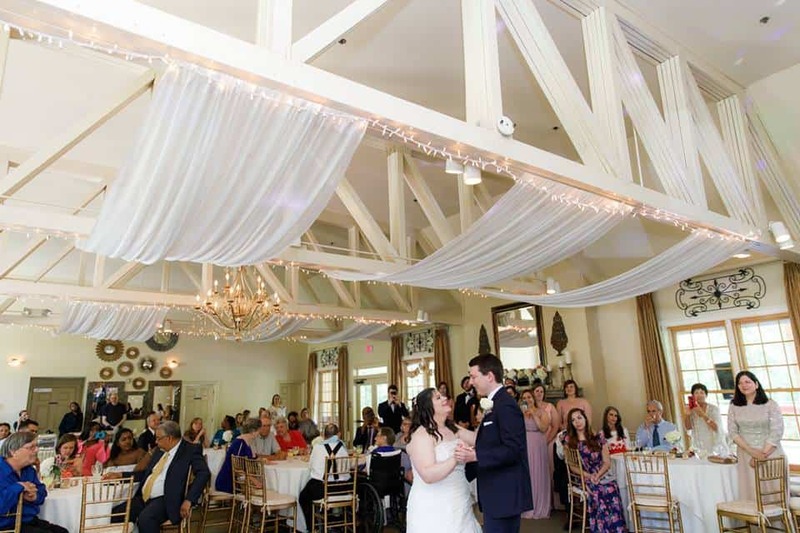 After the ceremony Ashley and Alec were warmly received by family and friends as they stepped onto the dance floor for their first dance as husband and wife. 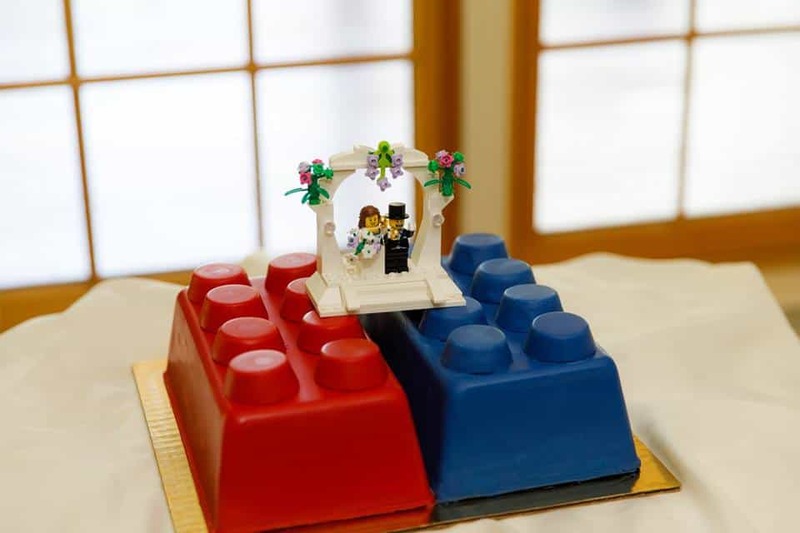 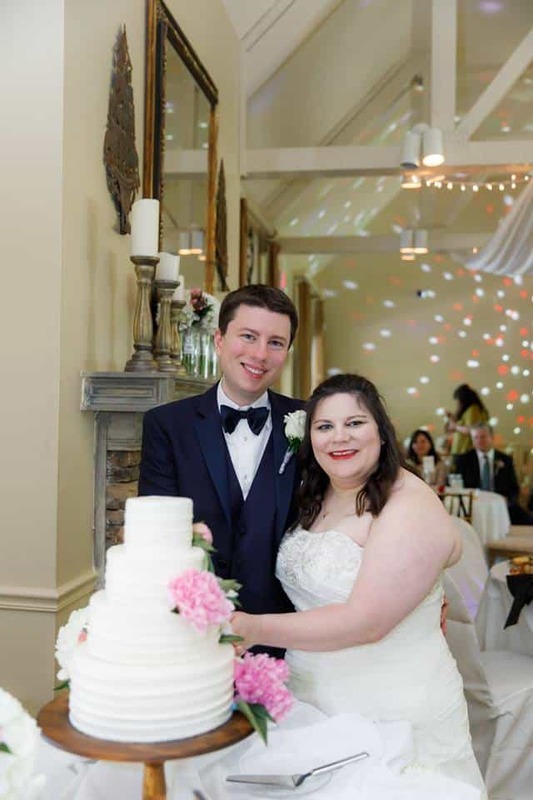 Along with their beautiful 4-tiered wedding cake they had a super cool lego-themed cake – definitely one to remember! 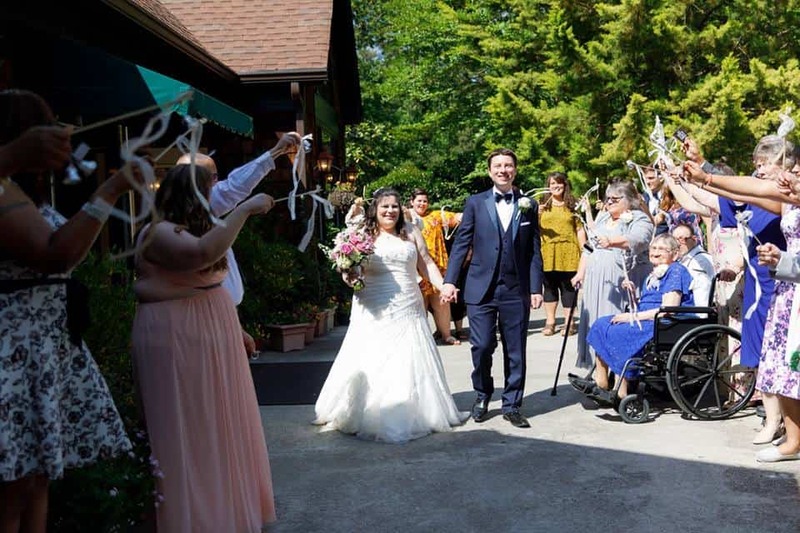 After the reception their families lined up on the front patio to give Ashley and Alec a beautiful ribbon send-off to wish them happiness and good fortune as they begin their new lives together.